IBM: Where Business machines stood and where they are heading? 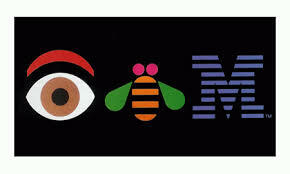 International Business Machines (IBM) Corporation is an Information Technology company that was incorporated in 1911. The company had been known as the biggest computer manufacturing company and system integrators. The company primarily operates in five segments, which are Global Technology services, Global Business services, Software, Systems and Technology, and Global Financing. Global technology services provide IT infrastructures and business process services to the customers. Global business services provide a platform of professional services and application management services. Software primarily consists of operating systems software, whereas systems and technologies provide business solutions to its customers ranging from storage capabilities to computing power. Global Financing invests in the financing assets, leverages and manages the risks associated to such investments. IBM recently acquired Cloudant Inc., which is a database service that enables developers to create mobile and web applications more easily and quickly. IBM was a pioneer in the information and technology business half a century back and the company had sky rocketing revenues and market shares. The company had products, which could not be articulated by competitors and was considered the biggest computer company in the world. But in early 1990s, the company was in a lot of trouble, as it posted one of the biggest losses of those times in the American history. The company had missed a couple of technological advancements at that time. The company’s management lost their focus and direction during the high growth periods and it brought IBM to the brink of collapse. The new management, which took control of the IBM’s sinking ship, started with a huge restricting of the firm. The new management started forming strategic alliances; the first partnership was with Ogilvy and Mather, which was an E-business campaign, which showed the congruency of IBM’s service offerings with its purpose and brought the company back into cultural consciousness. Now the company has a stable business and revenues with thousands of customers across the globe. The company has acquired a cloud service provider SoftLayer Technologies Inc. last year for $2 billion and is integrating its existing hardware and data analytics with its services. IBM in the FY 2013 has beaten the earning per share but had a scarcity on the revenues. The company’s management announced that the company is set to develop some new products, which will improve the data management, delivery, and integration and this will bring in more revenues for the companies. The company’s management is expecting an EPS of $18 in the Financial Year 2014. The changing trend that the customers are increasingly storing their data on the cloud networks rather than the onsite servers, which has limited the need for main frames or other hardware’s which resulted in the decline of companies sales in the first quarter of the FY 2014. But as proven by history the company has plans to keep itself in the high growth business. After acquiring SoftLayer Inc., i.e. a company, which is in cloud networking business IBM, is investing further $1.2 Billion in the Cloud computing since the recent trends have shown that this is the way forward in the technology business. The company is also working to deliver its Watson tools through the cloud computing, which will bring in more business for the company. IBM is also spending billions of dollars on developing a new group under the technology segment, which will analyze the information and provide the useful and insightful information about the data in simple context. The company over the last couple of quarters has seen a downturn but the future prospects look good for IBM and its stakeholders.